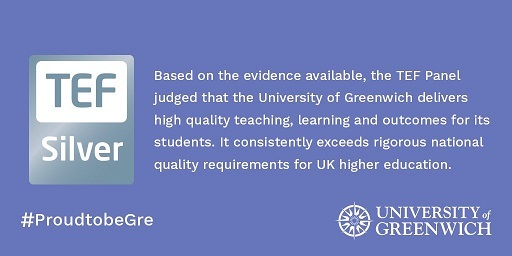 The University of Greenwich has achieved a Teaching Excellence Framework silver rating in recognition of high quality resources, teaching and personalised provision. 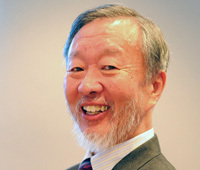 Sir Charles Kao 高錕爵士 , the Noble Prize winner in Physics in 2009 for his ground breaking research in fibre optics, was a graduate of Electrical Engineering programme at the University's predecessor, Woolwich Polytechnic, in 1957. The Hong Kong Management Association (HKMA) jointly offers a top-up degree course with the University of Greenwich. This bachelor degree course not only aims to prepare students in strengthening their business and management knowledge but also to prepare their analytical skills. This Greenwich bachelor degree course is tailored specially for holders of Associate Degree, Higher Diploma, Advanced Diploma, and Professional Diploma, etc. 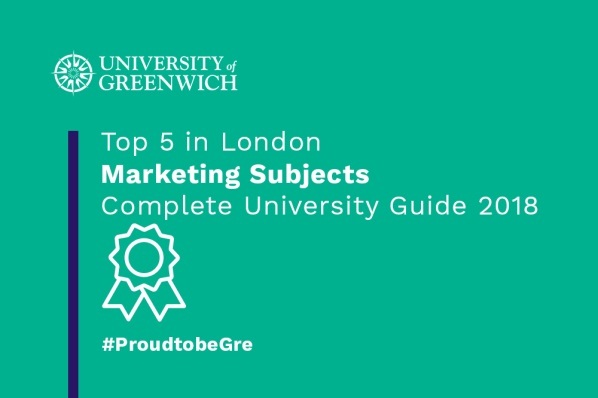 Why choose the University of Greenwich BS (Hons) Business Studies? 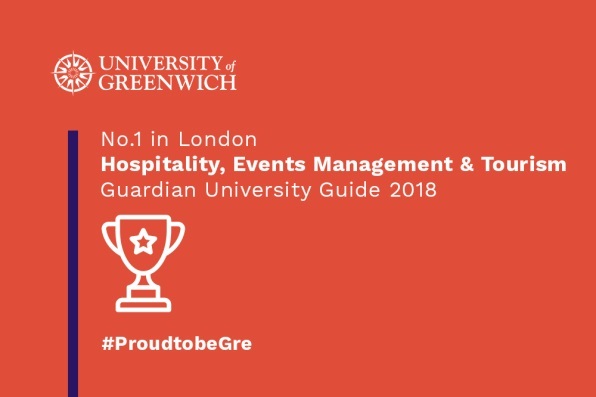 The University of Greenwich is an internationally recognized university. The programme is a fully accredited British undergraduate university degree. Year 3 Entry students can complete the programme in 8 months with 4 modules. Students can choose to study different specializations including Business Studies, Events Management, Finance, Human Resource Management, Logistics, and Marketing. The programme is taught by local experienced associate faculty with local, innovative and practical knowledge and therefore participants can easily apply their learning and case studies into their daily work. Preparation, problem-solving exercise, projects and self-managed learning activities are used to encourage flexible and independent thinking. Degree can be obtained in an affordable and competitive programme fee. c. Mode of study Each course comprises 45.5 contact hours through regular weekday day time lectures and weekday evening lectures. 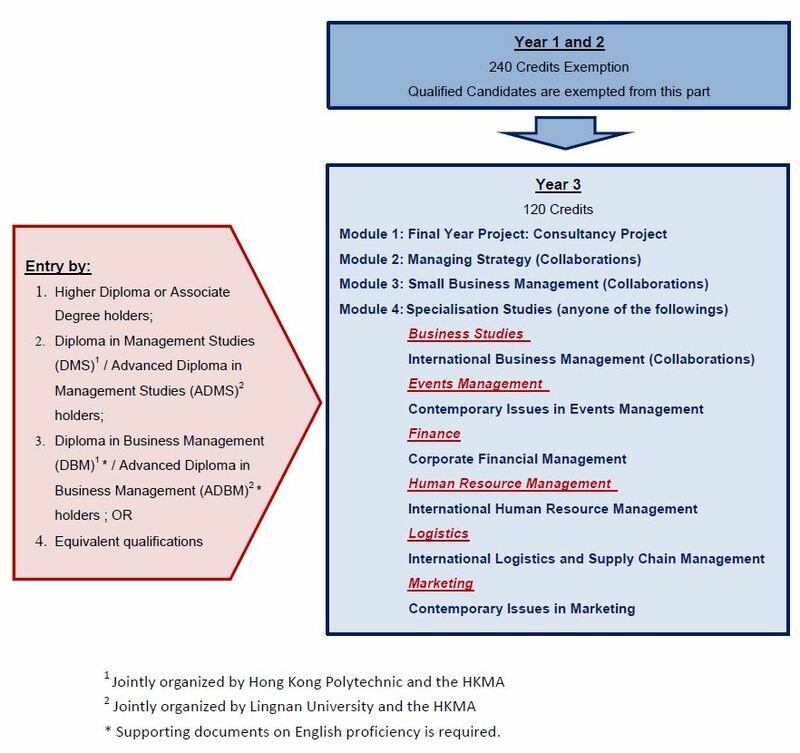 The BA (Hons) Business Studies (with different specifications) - Advanced Standing programme in Hong Kong can be completed over a period of 8 months. Students, upon successful completion of the whole programme will be awarded the BA (Hons) Business Studies by the University of Greenwich. Applicants with good academic performance in the post-secondary studies will be considered for scholarships up to HK$10,000 for 2018/19 entry. BA (Hons) Business Studies is an approved programme of the Extended Non-means-tested Loan Scheme (ENLS). Students can apply for an ENLS loan to cover the tuition fees payable of this programme. Holders of Diploma in Management Studies (DMS)/ Advanced Diploma in Management Studies (ADMS) jointly organised by Hong Kong Polytechnic and the HKMA/ Lingnan University and the HKMA, or equivalent qualification. Level 3 or above from HKDSE, etc.